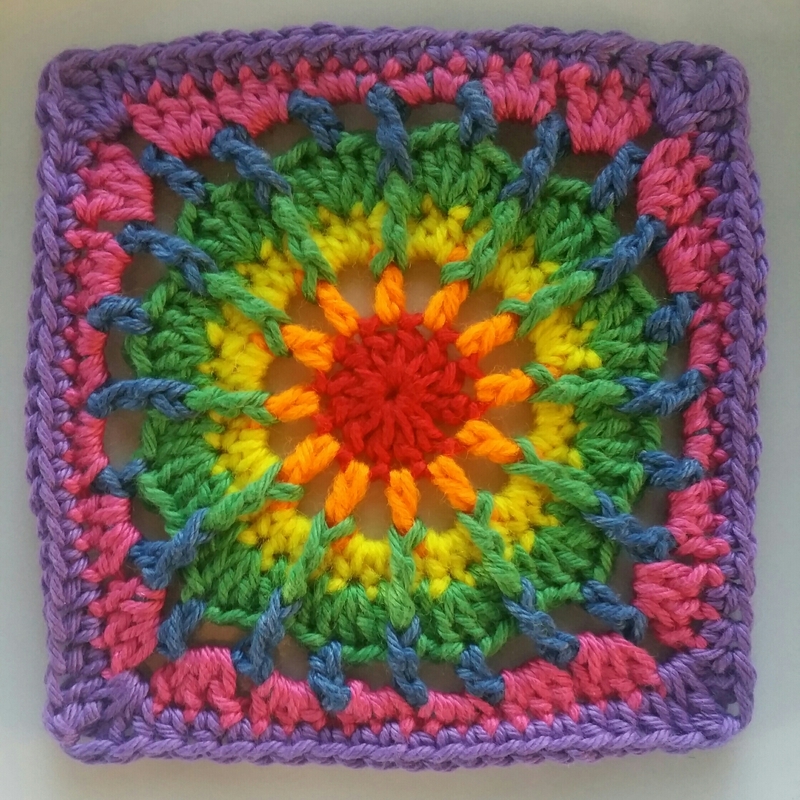 Granny Squares are the New Black! First up, I returned to the 2014 Look at What I Made Block a Week CAL, which I started way back in 2015. After seven blocks I lost momentum and as there are over forty blocks in total, returning to it got a bit daunting! Dipping my toe back in with Popcorn Parade by Melinda Millar. I’m encouraged to note that my skills have improved a lot over the last couple of years, and it worked up really quickly. I’ve also finished all the Willow squares for my latest baby blanket, twenty in all. Regular readers will know that I am a huge fan of this pattern (from the excellent 200 Crochet Blocks by Jan Eaton). I weaved as I went – lesson learned! – and it was so great to be able to just get stuck in to the joining! Hope to finish up within the week. 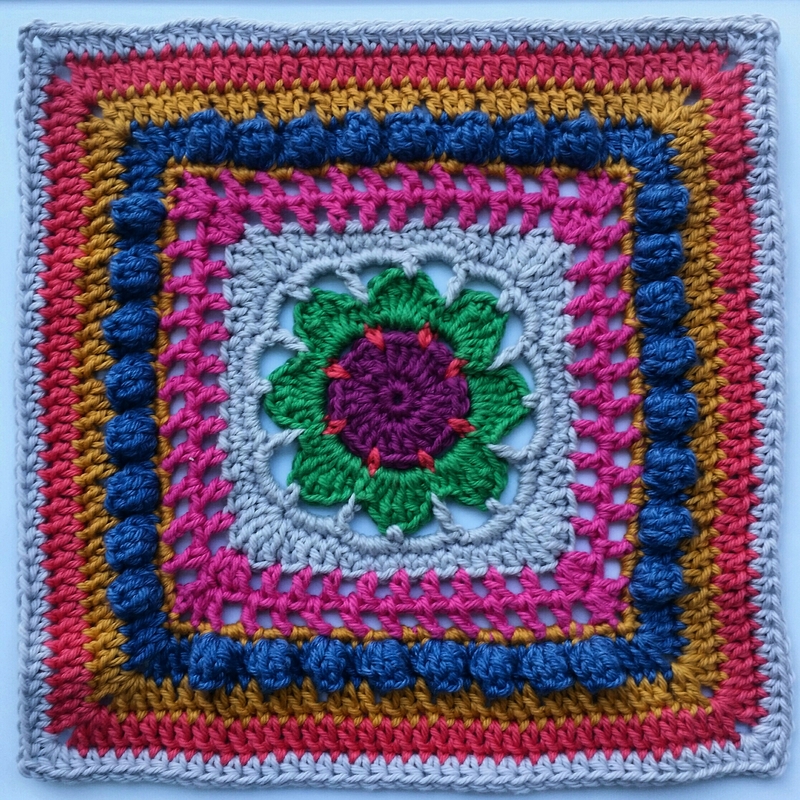 One last thing – what is the difference between a ‘block’ and a ‘granny square’? Is it just the size or is there some more precise definition of each? I must research in preparation for the big day next month 😀 Do you have plans for International Granny Square Day? Are you Feeling Lost in Time? I’m a sucker for rainbows. Very pretty. Your square design is really beautiful! Well done! All your other projects are also amazing. 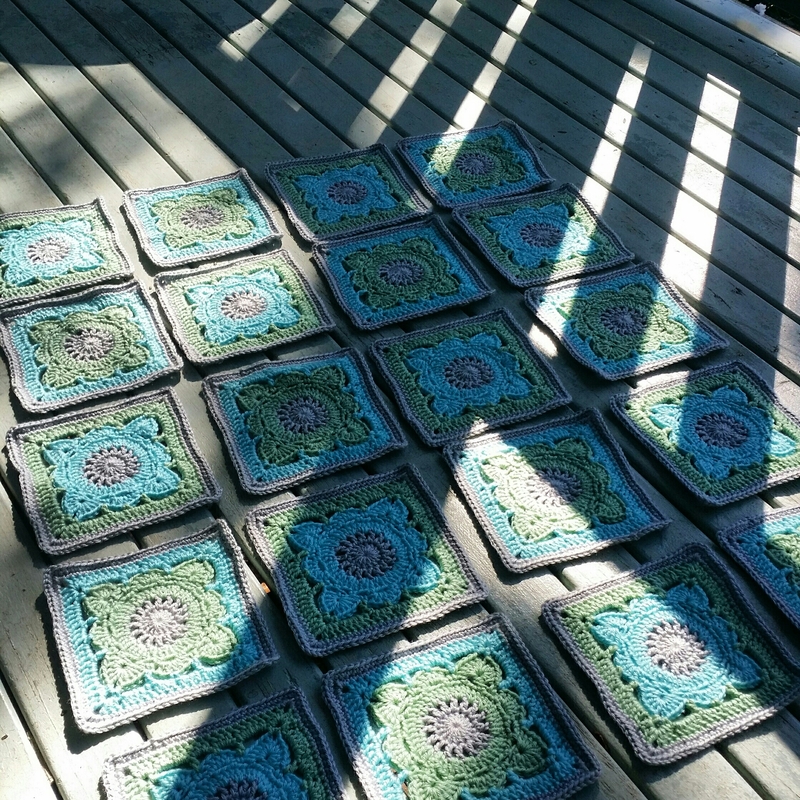 As far as the granny versus block thing, I think a strict “granny square” is the kind with cluster stitches (ch2, three dc in next space, ch2, etc.). A block is any old square. This at least is what I think, keeping in mind that I’m American and that’s how we think of it in American English. In Spain my crochet friends call everything a granny that is square. So, the word has been borrowed and imported into other languages to mean different things. At this point I guess they’ve become synonyms for a lot of people. Love the colors. They are very bright. Very pretty. I love the rainbow colors. The winter glen squares are gorgeous. It is very soothing and I can see it working in many different home settings.